This week Tench released Still (M. Ostermeier's first album in four years) to favorable reviews. The album features his poignant and at times avant-garde piano style mixed with the spare use of electronics and processed acoustic recordings. Empty space and minimalism figure heavily in Still's compositions, making for a stark and reflective album. Our second video for our new album The Great Pretend is "Dalliance." How many reel-to-reel machines can you count? Words On Music released The Great Pretend today. The digipak CD with artwork by William Keckler can be ordered directly from Words On Music and many other places. Download available from iTunes or your favorite digital provider. Words On Music released our single 'Down A Notch' today. The digital single is available on iTunes, Bandcamp, and most other digital stores. Here's the video for "Down A Notch," the first single from our forthcoming album The Great Pretend, which will be released in March. The digital single Down A Notch will appear in advance of the album on February 18th. Captured Tracks kicks off its Shoegaze Archive series with an expanded CD + vinyl reissue of A Folding Sieve. The reissue contains several previously unreleased tracks and is an essentially complete collection of songs recorded in Austin TX from 1992-1995. The vinyl version comes with digital download of all songs on the CD. Also released today is a special limited edition cassette entitled Resonate that is a reproduction of the pre-Folding Sieve cassette released on the Austin label Whirlingpool in 1993. Marc is interviewed at When The Sun Hits and talks about Like a Fire Without Sound and the upcoming reissue of A Folding Sieve on Captured Tracks. "Slumberland", the third track on Like A Fire Without Sound, will appear in this week's episode of the FOX comedy New Girl staring Zooey Deschanel (October 4th). 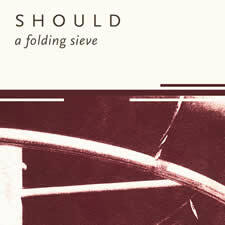 Captured Tracks will be reissuing our 1995 album A Folding Sieve on vinyl! The Brooklyn, NY label will also release An Expanded Folding Sieve, an 18-track CD collection of tracks recorded in Austin 1992-1995. Five of the tracks are previously unreleased. POPNews (France) has published a track-by-track guide to Like a Fire Without Sound. An English translation can be found here. Filmed, Edited and Directed by Dustin Lane. Art Direction and Color Timing by Sherry Lee. Starring: Isabella Bonaduce and Blues Williams. 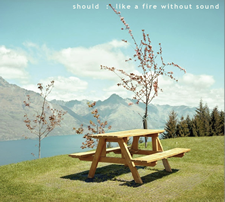 Like a Fire Without Sound was released today on CD and digital. Available many places incuding directly from Words On Music, Amazon, Darla, etc. and at iTunes and other digital music providers. Like a Fire Without Sound will be released April 26th. Video for "Turned Tables" being shot this month by Dustin Lane of Films Disappear Here. There is now a Facebook page for Should.